February 19, 2014 By Allyson 9 Comments This post may contain affiliate links. Read my disclosure policy. In case I haven’t mentioned this before (although I am 99% sure I have), we are a potato family. We were out to dinner a few weeks ago and I actually looked down at our food to realize we were eating 3 different potato dishes. My son had french fries, I had potato skins, and my husband had loaded cheese fries. At that point I knew we could really say with 100% confidence that we love our potatoes! We are also a pasta family (though, my 3 year old does not like pasta, so maybe this isn’t true anymore), so there is no denying that we love our carbs. Now, while some people argue that lots of carbs are bad (and they are probably right), I think if you balance them out with other healthy foods than you shouldn’t worry about it too much. Plus, who can enjoy a life without potatoes or pasta? Not me. Like I was saying we love potatoes, and I LOVE baked potatoes. 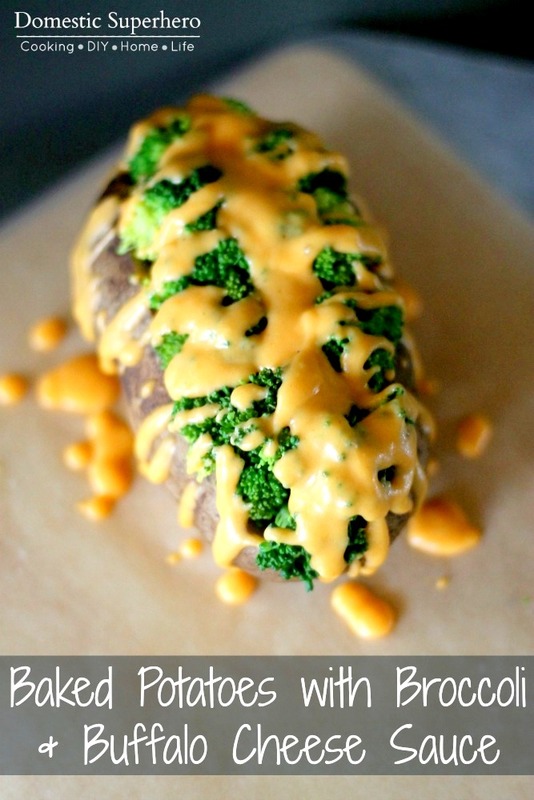 However, having plain baked potatoes over and over gets boring and there are so many great ways to dress them up. I’ve seen Tex-Mex baked potatoes, fancy baked potatoes, meaty baked potatoes, and of course baked potatoes with broccoli and cheese. 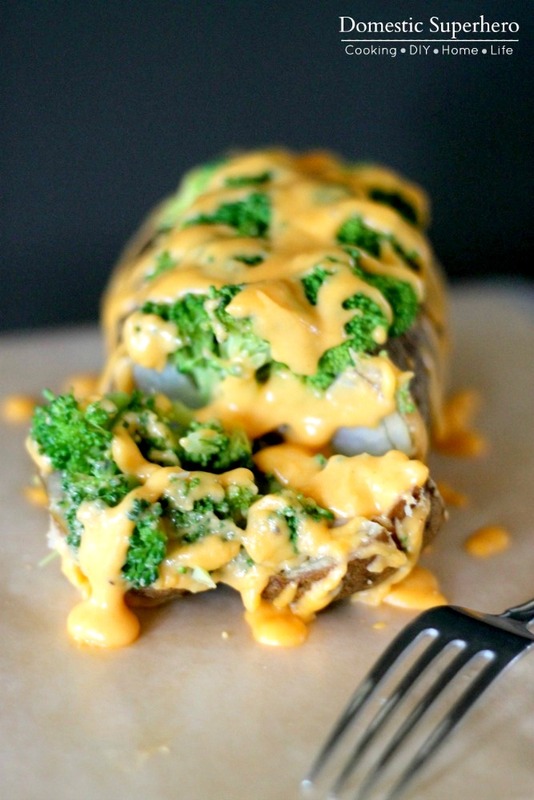 I love the broccoli and cheese combo because it adds a healthy vegetable, broccoli, to balance out the not so super healthy cheese sauce (oh come on, it’s healthy!). In our house we like things spicy though, so I decided to take the typical cheese sauce and turn it into a buffalo cheese sauce. Delish. The greatest part about this meal is this is all you need! Sure you could bake little potatoes and serve this as a side, but I would much rather bake up some big ‘ole Russets and go to town with this as my main dish. Plus, why dirty more dishes? Whenever I plan to make baked potatoes, I have my husband pop the potatoes in the oven right when he gets home from work, that way they are done baking when I get home, and I can finish cooking up the toppings. 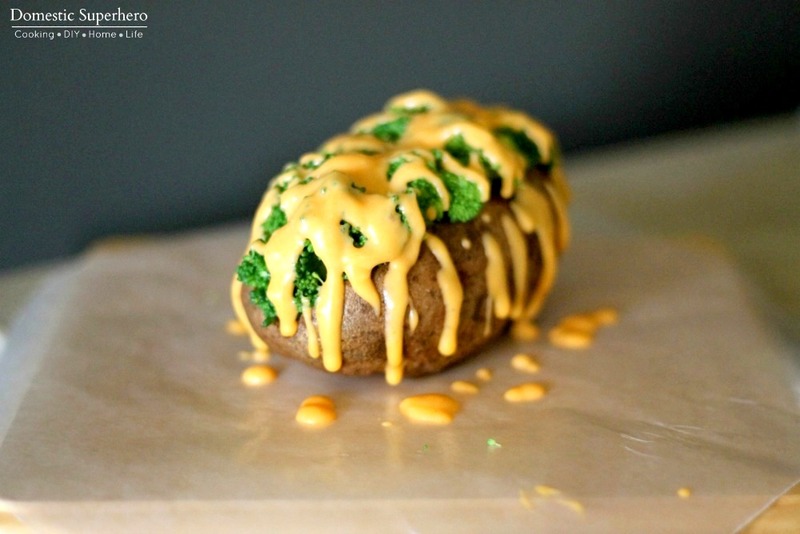 Making this particular potato is easy because you just have to steam the broccoli and whip up an easy cheese sauce. If you have left over sauce, it’s great as a bread dipper too…think fondue. Yum. Also, if you don’t like buffalo sauce you are crazy just leave it out; this cheese sauce can stand up totally on it’s own. 1. 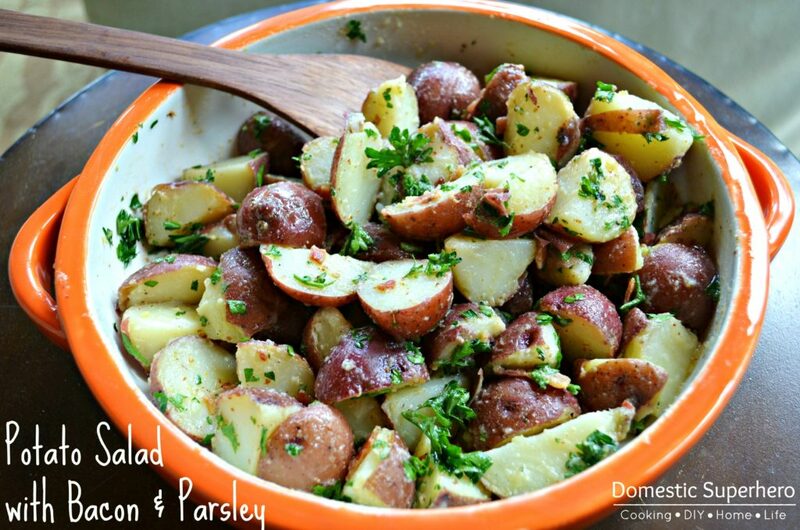 Preheat oven to 375 degrees F. Wash potatoes thoroughly and dry. 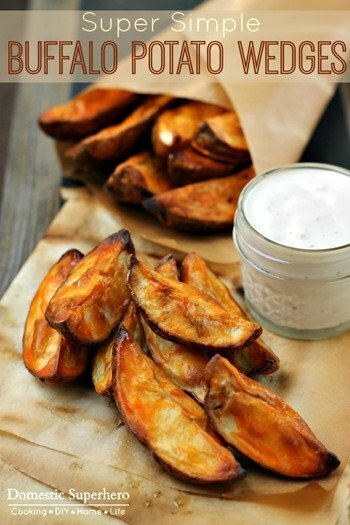 Rub olive oil over skin of potatoes and place potatoes on rack in preheated oven. (I like to put a cookie sheet on the 2nd rack to catch anything that drips down, though isn't usually much) Bake for 50-70 minutes until done (fork should poke into the potato easily). Remove from oven and set on wire rack to cool. 2. After broccoli is chopped steam it on the stove top or microwave. Set aside. 3. In a medium sauce pan make a roux: over medium heat melt butter, then add the flour. Whisk together and cook for 1 minutes, whisking the entire time. Slowly add milk 1/2 cup at a time, whisking until completely combined after every addition. Once all the milk is added turn up the heat a bit (not too high), and continue to whisk. The mixture will bubble and start to thicken as you are mixing. Once it has thickened up, turn off heat and remove the sauce pan. Add cheddar cheese to milk mixture and whisk until melted and combined. Add buffalo sauce and mix until combined. 4. Slice open potatoes down the center length wise, then make several cuts across the other way so your potato resembles the strings on a football. 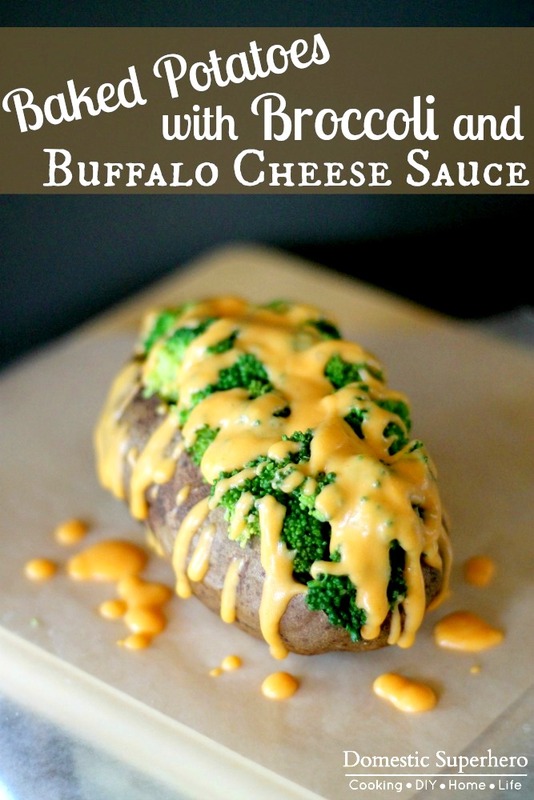 Top with broccoli and then spoon buffalo cheese sauce over top. -Feel free to add more or less buffalo sauce to the sauce if you like more or less heat. It is so good! I hope y’all enjoy it! 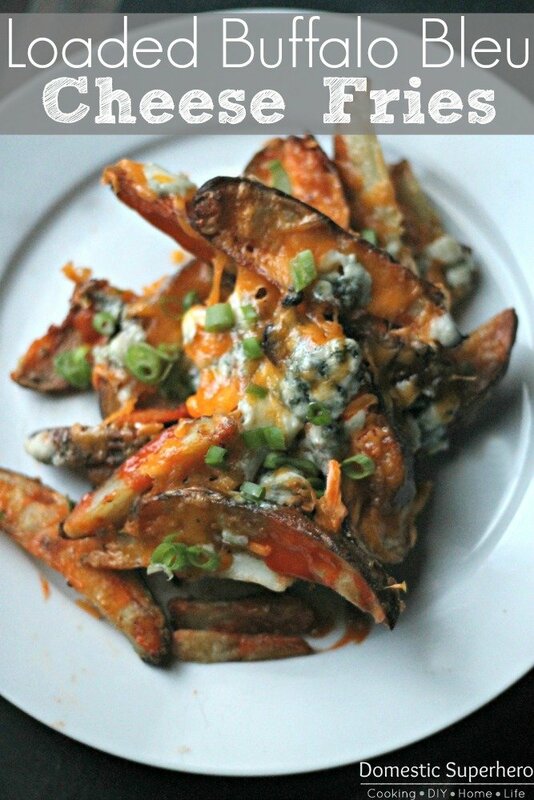 Now if I did this with Sriracha instead of buffalo sauce, how much Sriracha do you think I should use? Hmmm, I’m not sure! I would try slowly adding it and tasting as you go! I hope he would like it! It’s definitely a favorite over at out house!